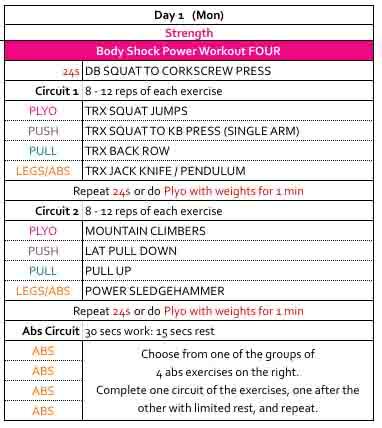 My Body Shock Power Workouts have been designed to challenge you (and me) and will work as part of a cardio and resistance training programme. 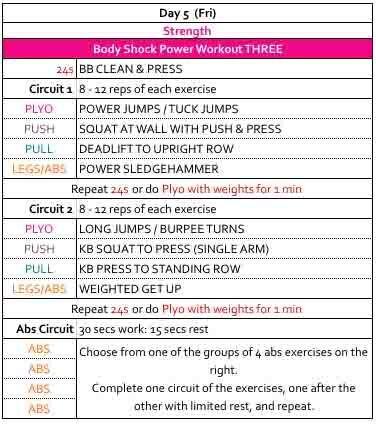 The aim of my Body Shock Power workouts is to really shock your body into change, create a hormonal change and generate fat burning. To get the best results it’s important that you give it your all and fuel your workouts by eating protein and carbs before and after to aid recovery. 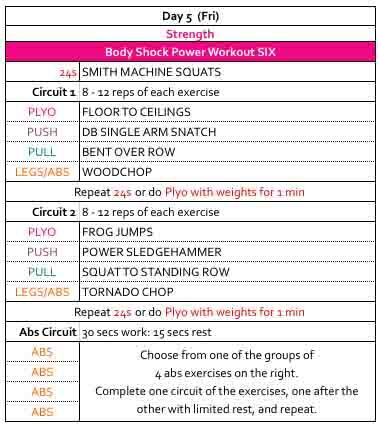 As part of the Super Lean Regime you will do 3 Strength Workouts a week, on alternating days (Monday, Wednesday and Friday). Strength workouts should last between 40-60 minutes and should concentrate on lifting heavy things to make you work hard and reap the benefits. See the Super Lean Training Plan for more information. 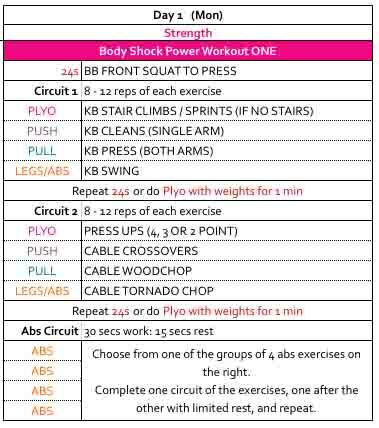 Since I created my six Body Shock Power Workouts, I’ve updated them in a post here: Super Lean Strength Workouts. 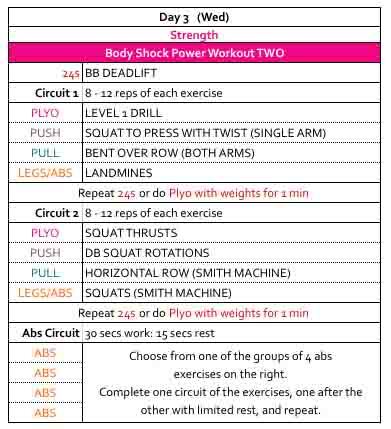 There is a guide of how to do my Body Shock Power Workouts and also an excel printout you can use so you can take it into the gym with you. 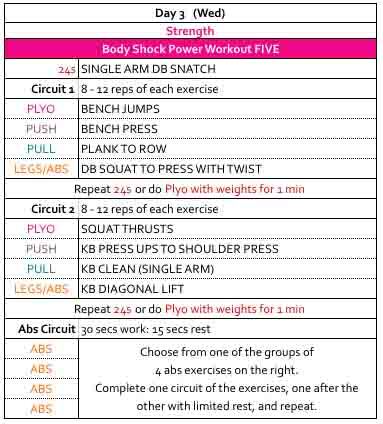 Here are my original six Body Shock Power Workouts which can be printed from the Super Lean Printouts Page if you want to.